Currently, millennials contribute billions of dollars each year in overall consumer spending. Data shows email is still a hot channel and the way millennials prefer to be reached. They actually spend quite a bit of time checking it. Recent research shows they open email before they're even out of bed and continue to check it throughout the day. The key is knowing how to successfully reach them. Previously, email marketing was dismissed as being "old school", and marketers sought new and exciting ways to reach millennials. However, the answer turned out to be simple, email is still the best bet. While we know millennials actively check email, the trick is getting them to read through your emails and then take action. Some statistics suggest millennials open less than one-third of marketing emails, yet despite this, when all generations are included, millennials are still the most likely demographic to open. One survey found millennials are 63 percent more likely to be influenced by promotional emails than older generations. This means that if you get your email strategy right, you're likely to boost your conversion rates with millennials more than any other group. We believe carefully considering user preferences and integrating optimization is critical to conducting successful email campaigns. To effectively reach millennials, you'll need to send personalized and relevant emails. The goal is to grab their attention within 5 or 6 seconds and be sure to avoid the biggest email marketing blunders. Statistics indicate the younger set sticks with brands they feel align with their personal values and cultural interests. Storytelling is a powerful approach with millennials. Appeal to them through engaging emails, and you're likely to gain a loyal customer that won’t just consume what you send to them but will start actively seeking out your brand, product or services. Millennials check their emails similarly to the way they check social media, on their mobile phones. This means you should absolutely be looking into ways to optimize and design mobile-friendly emails. After all, you want your email to be opened, not swiped directly to trash as the recipient scrolls through email on their app. Use enlarged fonts, single column layouts and prominent, clear CTAs to craft a better user experience. Send carefully personalize emails as opposed to generalized mass email blasts. Distribute timely emails and don't bombard. Once you engage users in email, you need to continue a good experience to gain conversions; be sure to build mobile-optimized websites and user-friendly apps. Include links to all social media marketing channels in email campaigns to further increase your ability to engage millennials on social. The numbers show ROI for email marketing is high; $38 for every $1 spent. Travel emails also have an approximate 21 percentage open rate, demonstrating a good percentage of them are doing something right. Follow your analytics to guide and influence your decisions when crafting your email campaigns. 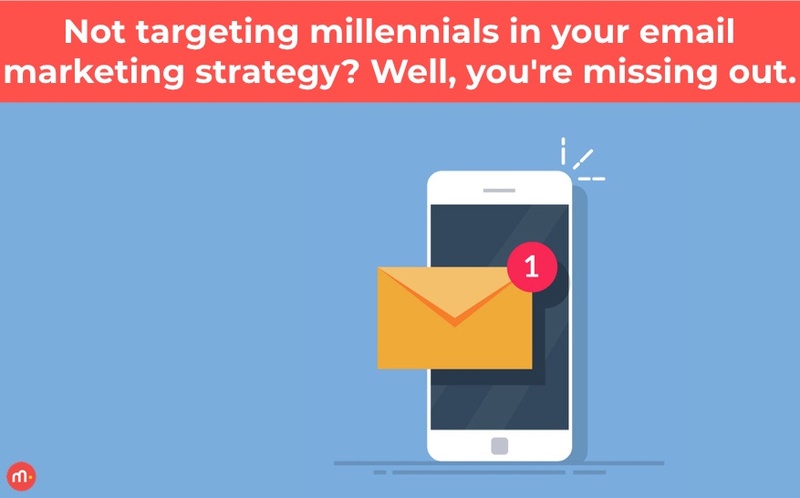 If you're not targeting millennials in your email marketing, you're definitely missing out. Want to increase the success of your email campaigns? Let us show you how you can better optimize, personalize and create an overall great experience for your audiences.